Practice vocabulary and counting in your child’s first language or discover a new language. Spanish, French, Mandarin Chinese, Italian, German, and English – all six languages on one DVD! In this exciting DVD, kids learn colors, toys, clothes, furniture, and counting up to 10. This language learning video contains colorful animation, real images, and cute characters create an engaging experience that’s clear and easy to follow. Approx. 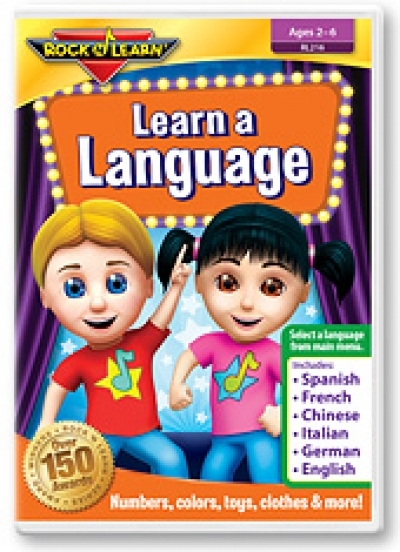 37 minutes per language and designed for ages 2 & up. Learning a second language is so important, love this product. V.M.